Researchers in high-energy physics and related fields use INSPIRE for their professional profiles, job-hunting and promotional materials. They use it to keep track of other people’s research in their disciplines and for finding good resources to cite in their own papers. INSPIRE contains up-to-date information about over a million papers, including those published in the major journals. INSPIRE's database also interacts with the arXiv, a free-access site that hosts papers independently of whether they're published in journals or not. “We text-mine everything [on the arXiv], and then provide search to the content, and search based on specific algorithms we run,” Dallmeier-Tiessen says. In that way, INSPIRE is a powerful addition to the arXiv, which itself provides access to many articles that would otherwise require expensive journal subscriptions or exorbitant one-time fees. A lot of human labor is involved. The arXiv, for example, doesn’t distinguish between two people with the same last name and same first initial. “We have a strong interest in keeping dynamic profiles and disambiguating different researchers with similar names,” Hecker says. To that end, the INSPIRE team looks at author lists on published papers to match individual researchers with their correct institutions. This includes collaborating with the Institute of High Energy Physics in China, as well as cross-checking other databases. Every January, the INSPIRE team releases a list of the top 40 most cited articles in high-energy physics that year. Looking over the list for 2015, you might be forgiven for thinking it was a slow year. The most commonly referenced articles were papers from previous years, some just a few years old, a few going back several decades. But even in years without a blockbuster discovery such as the Higgs boson or gravitational waves, INSPIRE’s list is still useful a snapshot of where the minds of the research community are focused. In 2015, researchers prioritized studying the Higgs boson. The two most widely referenced articles of 2015 were the papers announcing its discovery by researchers at the ATLAS and CMS detectors at the Large Hadron Collider. The INSPIRE “top 40” for 2015 also includes the original 1964 theoretical papers by Peter Higgs, François Englert, and Robert Brout predicting the existence of the Higgs. Another topic that stood out in 2015 was the cosmic microwave background, a pattern of light that could tell us about conditions in the universe just after the Big Bang. Four highly cited papers, including the third most-referenced, came from the Planck cosmic microwave background experiment, with a fifth devoted to the final WMAP cosmic microwave background data. It seems that cosmology was on physicists’ minds. Two more top papers were the first measurements of dark energy from the late ’90s, while yet two more described results from the dark matter experiments LUX and XENON100. INSPIRE grew out of the Stanford Public Information Retrieval System (SPIRES), a database started at SLAC National Accelerator Laboratory in 1969 when the internet was in its infancy. After Tim Berners-Lee developed the World Wide Web at CERN, SPIRES was the first US-hosted website. Like high-energy physics itself, the database is international and cooperative. 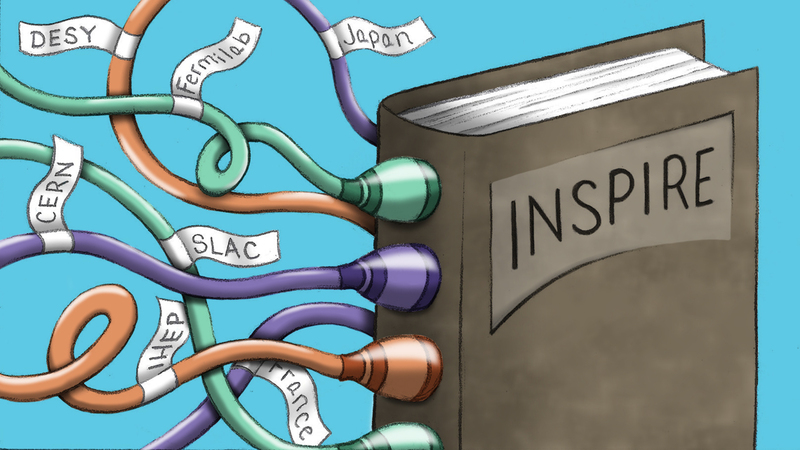 SLAC joined with Fermi National Accelerator Laboratory in the United States, DESY in Germany, and CERN in Switzerland, which now hosts the site, to create the modern version of INSPIRE. The newest member of the collaboration is IHEP Beijing in China. Institutions in France and Japan also collaborate on particular projects. INSPIRE has changed a lot since its inception, and a new version is coming out soon. The biggest change will extend INSPIRE’s database to include repositories for data and computer code. Starting later this year, INSPIRE will integrate with the HEPDATA open-data archive and the github code-collaboration system to increase visibility for both data and code that scientists write. The INSPIRE team will also roll out a new interface, so it looks “less like something from 1995,” Hecker says. From its inception as a way to share printed articles by mail, INSPIRE continues to be a valuable resource to the community. 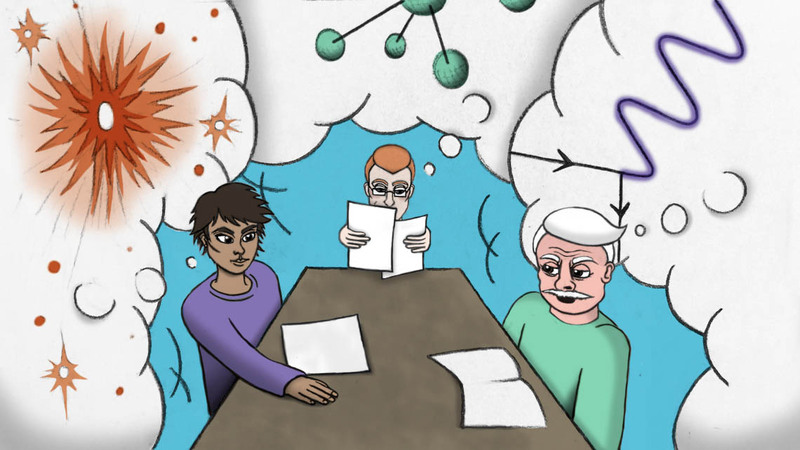 With more papers coming out every year and no sign of decrease in the number of particle physicists working, the need to build on past research—and construct collaborations—is more important than ever.